A mysterious murder. An enchanted hometown. Catching the killer will take a crack reporter… and a pinch of magic. Between her cheating husband and her on-air meltdown, Marzie Nowak is going through a bit of a bad spell. With nowhere else to turn, the ex-big-city journalist crawls back to her superstitious hometown of Widow’s Bay just in time for their annual pagan festival. But after some on-the-ground reporting for a local news site, she realizes the legends surrounding the village may be more magic than myth…. Despite her best efforts to fact-check the strange phenomena, she can’t quite explain the packs of fur-covered tourists, the cryptic schemes of a sun-shy billionaire, or her chatty cat’s fashion advice. And she can’t help but join the ranks of true believers when an unsolved murder sparks her own mystical powers. With a killer on the loose and magical mysteries around every corner, can Marzie crack the case before her next meltdown? Resting Witch Face is the first book in a spellbinding paranormal cozy mystery series. 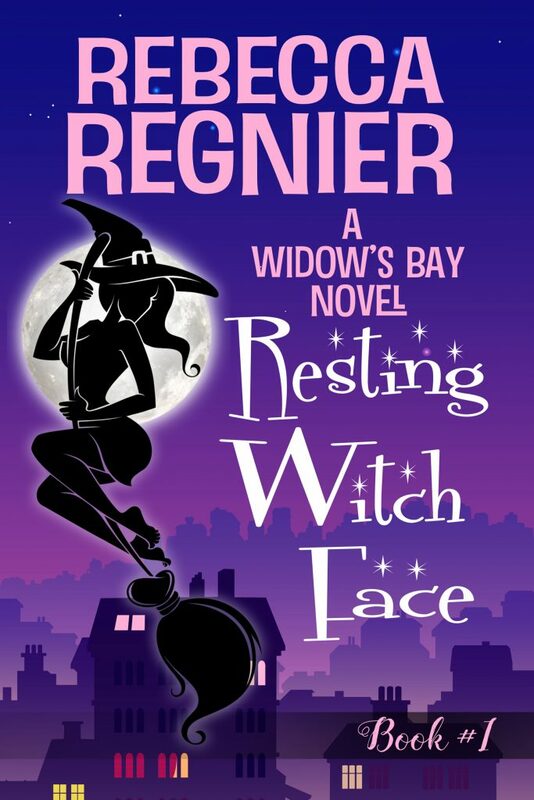 If you like clever heroines, snarky humor, and supernatural small towns, then you’ll love Rebecca Regnier’s bewitching mystery. Fall under the spell of this witty, whimsical mystery!